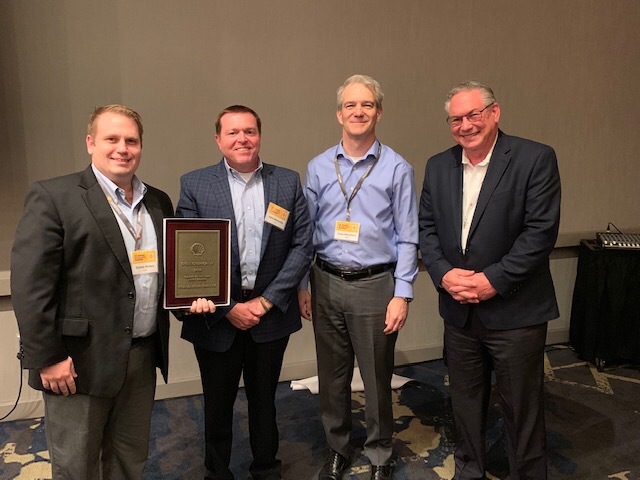 Kenan Advantage Group was recognized once again as 2018 Carrier of the Year by Shell Chemical LP. Dan Wright, VP of Safety, Security and Compliance, proudly accepted the award on behalf of KAG Specialty Products last week in Houston, TX. This is the second consecutive year for KAG to receive this honor. Pictured left to right: Dennis Hickey from Shell, VP of SPG Sales John Boncosky, Chad Mansfield from Shell, and Dan.